Now that Over The Rainbow has been forced into hibernation due to broken needles, I am ready to begin International Bright Young Thing, a knitted shawl. The project was inspired by the color of the yarn matching the color of Jesus Jones’s album Doubt. Yarn: Unknown (Fiber Content: Unknown [natural fiber, per burn test]). In its natural state, it appear like a dk cotton, but once I cast on, I could feel an elasticity and it feels like polyester. Anyway, I started on US 6 needles because I thought it was a dk weight. 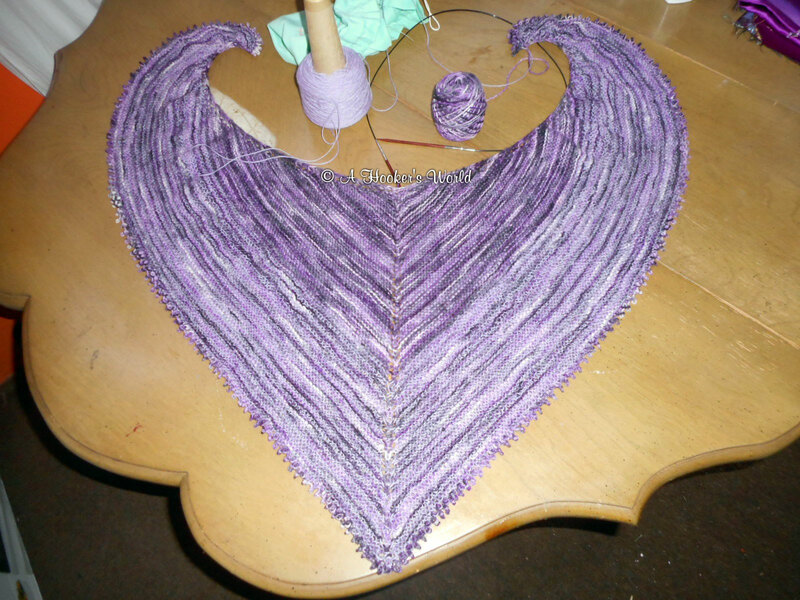 it would be light enough for the airy shawl design…wish I had some beads for weight. Because I am not familiar with the pattern, this will be my home pattern for right now. I think the pattern will be easy to memorize and I should be able to move along quickly. I noticed an error in the first row and contacted the pattern writer. I was shocked that despite her inability to knit at present, she corrected her PDf and sent me notification. Very impressive!